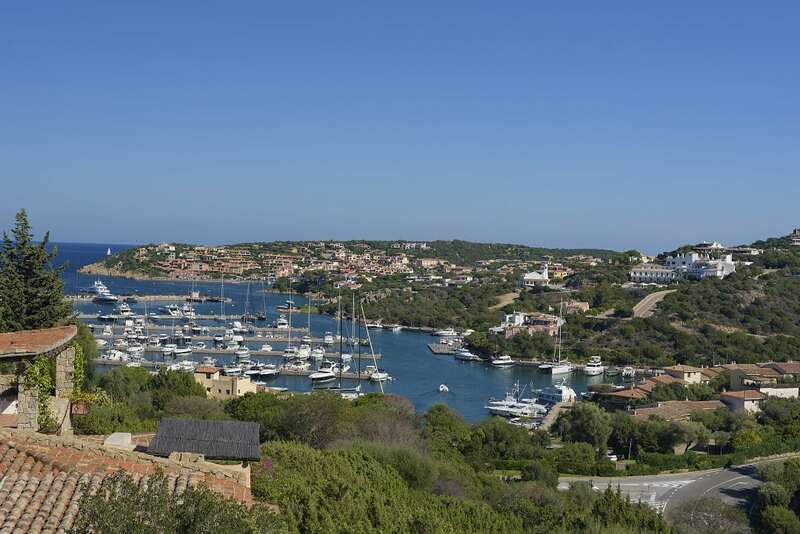 The first thing you notice about Sardinia – well, Olbia, where we landed and the northern part of the island, where we were staying – is how clean it is. There’s no litter. Not in the airport car park, where you might reasonably expect it, not in either the inland or coastal towns, not on any of the beaches we would visit. It is genuinely unspoilt. There are no signs – that we saw, at any rate – warning of dire fines. People just keep the place tidy, and it makes an immediate impression. The cynic in me considers we are arriving at the start of the season (it’s mid-May and July/August is reportedly when the Italians descend en masse) but everything we see during our week here suggests that in tourism terms this is a young island, with a quiet, unshowy pride, and this is reflected in the way it presents itself. After picking up our holiday whip – a perky, scarlet Fiat 500 convertible – we had a straightforward journey to our magnificent base for the week, the Relais Villa del Golfo Spa Hotel in the 17th century fishing village turned sea resort of Cannigione arriving in time for a bracing dip in the hilltop-hugging pool and an evening meal of mouth-watering local lobster and spaghetti. Not such a shabby start! The hotel staff are truly simpatico and super-helpful, especially waiter Pasquale who went out of his way to recommend and write directions to nearby Agriturismo eating places (more of this later), and, in reception, Francesca, who went above and beyond the call of duty in sorting out some troublesome wifi connection issues. The weather is steadily around 25-28 degrees and on day one, Sunday, we familiarise ourselves with the surrounding area, scoping out the municipality of Palau, about 20 miles north west of Olbia, where families pour out of the church in the square and into the cafes and restaurants after worship. We have a delicious, fresh tomato, rocket and mozzarella salad and a righteously cheesy Quattro Formaggi pizza; with a couple of soft drinks and coffees it comes to around €25. The roads in this neck of the woods can be winding, and some have a tendency to tailgate, so keep cool. I found myself pulling over on three or four times to let the occasional hotheads on their way. By 3pm it was time to hit the hotel pool again and chat with fellow guests, a mixed bunch – retired industrialists, semi-retired Lemmy look-alike bikers, honeymooners … making for interesting pre-dinner banter. At the recommendation of Sandra, the unflappable and incredibly helpful local rep for our holiday hosts Sardinian Places (www.sardinianplaces.co.uk) we took the 10-minute stroll down the hill to La Vecchia Lampara, a beachside restaurant with a good reputation. It’s popular with locals, so if you’re not booking you need to get there early (we arrived shortly after it opened at 7pm and already several tables were full. Locals tend to dine later, nearer 9). This is a family-run restaurant serving great pasta and delicious fish (we dined here three times and each meal was excellent). I tended to go for pasta dishes, which were uniformly good – the style here, in fact in most places we ate at, is for the pasta to be served slightly al dente- and my other half revelled in the fish platter, which included squid, sea bream, swordfish and langoustine. With pudding (extremely chocolatey profiteroles), soft drinks and coffees, the bill came to exactly €50. Bear in mind the custom here is for the tip to be included in your bill. After a great breakfast in the hotel, Day Two saw us on conducting our own version of Baywatch, or rather Beachsearch, and there are many great ones to choose from. But a word of caution – the myriad of tracks spidering off the main roads to the various beaches can be quite rough, so bear this in mind when it comes to your hire car. The general rule seems to be that the better (i.e. whiter, longer) the beach, the more expensive the lounger hire/facilities. We balked at a €40 lounger charge on the long beach at Liscia Ruja (and salads at the adjacent White Beach Club at €25 a pop) and settled instead on Pittulongu Beach, a small, quiet area where the day rate for two sun loungers was €15, and the nearby restaurant served a pretty decent lunch . 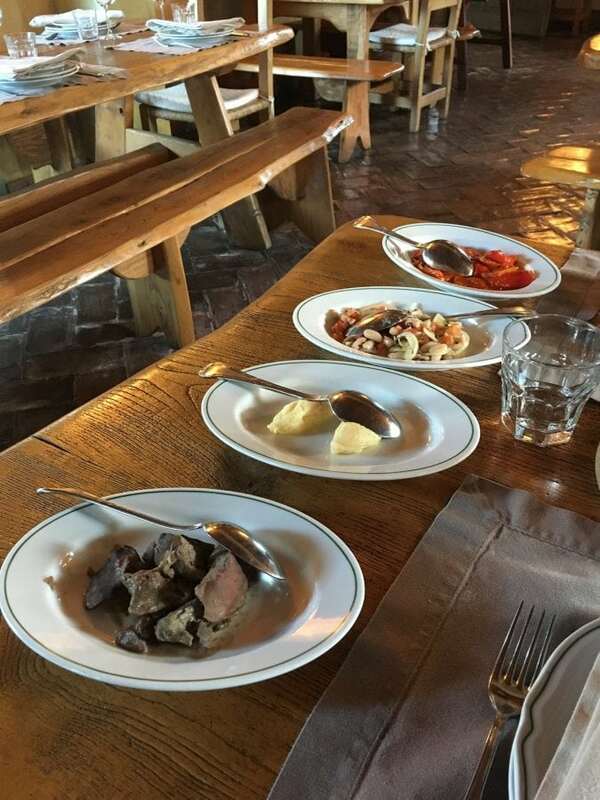 The feast of traditional Sardinian fare came in a series of small courses, each brimming with flavour. My initial reaction was one of apprehension (we had a rural dining experience in Positano on the Amalfi coast last year which was bordering on the obscene in its lack of portion control) but the approach here was very much ‘less is more’. Early courses included lip-smackingly salted ricotta, ‘guttiau (crisp-thin bread doused with oil and flavoured with rosemary), creamed pecorino, raw bacon which had been cured with salt and pepper for 40 days, and a dozens heavenly slices of salsiccia – the most mouth-watering, melt-on-the-tongue salami I’ve ever tasted. Then came dishes of peppers, onion and tomato, bursting with flavour, Borsalino beans soaked in oil, onion, parsley and garlic, miniature semolina cakes and a scrumptious cauliflower dish (who knew?!) which I had to arm-wrestle the vegetarian for. My mains came on two plates – suckling pig and mutton. Both were perfect. 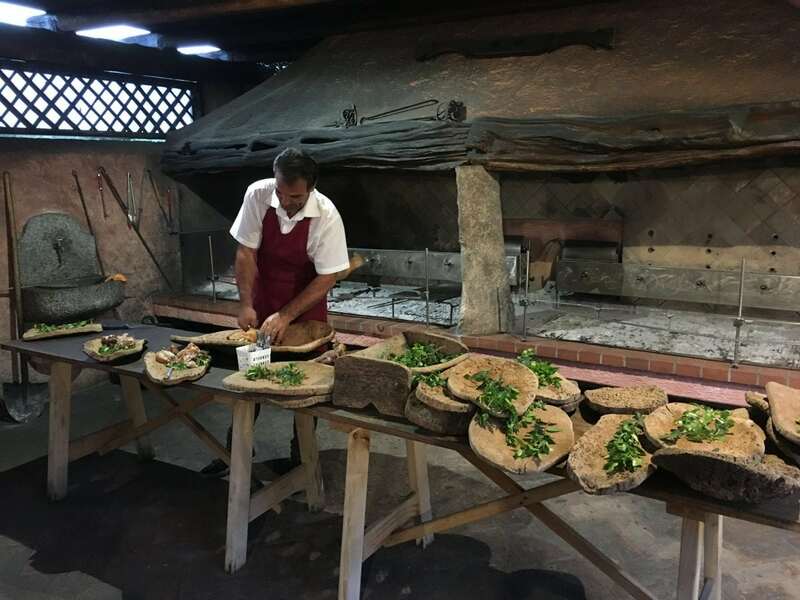 The pork was tender, sweet and uncomplicated by garnish, and the mutton – so often overlooked in favour of lamb back home – literally fell off the bone, and was complemented by potatoes which had soaked up the juice in the cooking. We barely had room for the pudding – ‘seadas’, savoury cheese tarts dripping in honey and served with slices of fresh orange. “Tell chef he’s a genius,” I said to our waiter. “Mmmm … maybe I wait until the end of the season,” he replied with a raise of the eyebrows and a wry smile. The next couple of days we spent relaxing in and around the hotel, so apologies for the lack of travelogue material! We both work ridiculous hours so we felt it was time for a little decompression time before heading back to dear old Blighty, and there was no better place that the hotel and its environs. Like the island itself, the Villa del Golfo is understatedly elegant. We set ourselves up each morning with a fortifying breakfast (great coffee) – a sort of half-English of scrambled eggs and super-thin bacon – and a huge selection of fruit, cheese, local cured meats and … STRAWBERRY CHEESECAKE … before sashaying over to the pool for a day of reading, laughing and soaking up the sun. Bliss. Last day and it’s time for an adventure – a day’s sailing on a 16-metre yacht. Setting out from the marina at Cannigione at 9am, we chug out through the scattered surrounding islands into open water as the sun breaks through the morning cloud and, before our Australian skipper Andrew cuts the engine, prepares the vessel (being very much a land mammal I never know when to say ‘ship’ or ‘boat’ and I know the wrong word can cause offence to sea dogs) and announces with a grin “now we sail”. On cue, the wind whips up and we are soon cutting through the waves, coursing away at a thrillingly wrong angle before slowing up and dropping anchor about 100 yards from a deserted cove. One by one (there are only four of us) we descend gingerly into the sea for a breathtakingly bracing swim (water temperature at this time of year is about 18 degrees – it warms up significantly throughout the season) before re-boarding for lunch. Then it’s on again, past islands forbidden to visitors because of coral theft, and past abandoned lighthouses and hilltop forts from the Napoleonic age. The wind rears up again late afternoon and we head back to port at a rate of knots (I’m getting the hang of this seadog lark). Exhilarating. We loved this trip and Sardinian Places could not have been more helpful and resourceful. The island gently gets under your skin – it might not be the hottest, or the showiest, or indeed the anything-est place, but it’s all the better for it in my opinion. And who knew you could find this kind of sun-blessed secret so close to home? 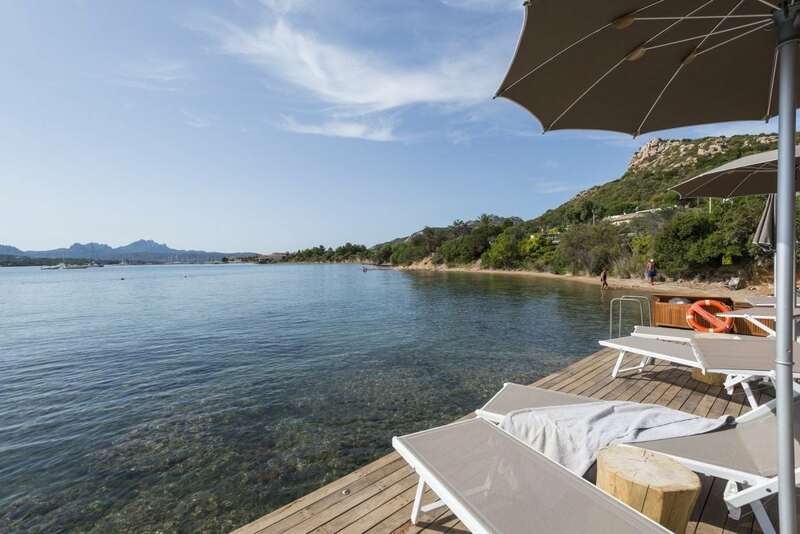 * Later research revealed that our hosts Sardinian Places also offer holidays to Corsica, under their sister brand Corsican Places, with some reasonable flight times from Stansted and Gatwick eg 12:05pm and 10am. 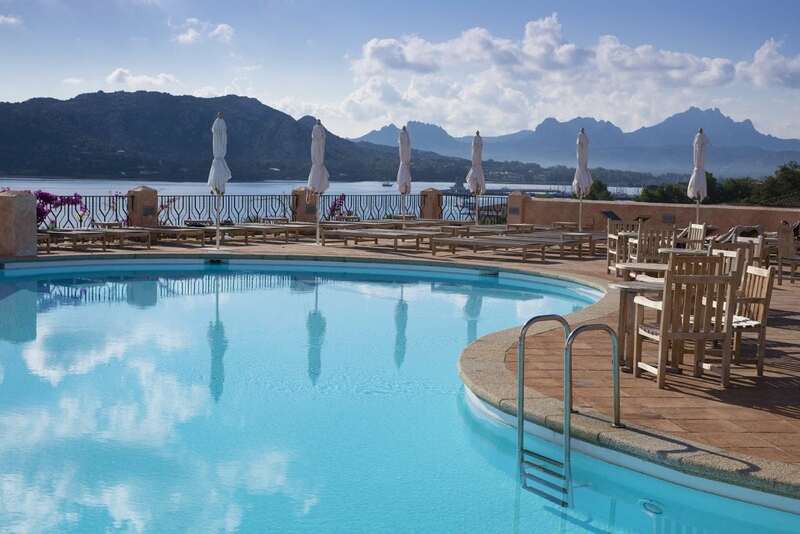 Sardinian Places offers 7 nights B&B from £999pp, saving £192pp (based on two sharing a Classic Deluxe Sea View). Flights from Gatwick on 22 September, private transfers and breakfast are included. SardinianPlaces.co.uk 01489 866959.